Best Android Recovery Software, recovering pictures in 3 Steps! Android Recovery Pro vigorously scans both internal and external phone memories of the device to recognize the deleted and lost Android data including the Android application package file i.e. (APK) file and recovers or restores then in a safe and secure location which can be reused easily. It supports all Android devices and is compatible with almost all versions of Windows including Windows 7. Android operating system has changed the entire concept of smart phones and given it a new dimension. Now people know, how different is to use an Android smart phones than any other smart phones. 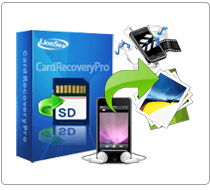 Android Recovery Pro is available which is especially designed and developed to recover lost or deleted data from Android devices like mobile phones and tablets. This powerful and sophisticated software vigorously scans both internal and external phone memories of the device to recognize the deleted and lost Android data including the Android application package file i.e. (APK) file and recovers or restores then in a safe and secure location which can be reused easily. It supports all Android devices and is compatible with almost all versions of Windows including Windows 7. Image or Photo Recovery - It effectively recovers deleted or lost photos from Android devices on any Windows based operating system. Photo formats supported by this software includes JPEG, PNG, BMP, GIF, TIFF, JP2, PSP, PSD, PCT and RAW images of camera. Music or Audio File Recovery - This software effectively recovers music files, songs, compositions and other audio files. Supported audio file format includes MP3, MIDI, WAV, WMA, RA, AIFF, OGG, M4A, RM etc. Video File Recovery - If you have accidentally lost or deleted your video files, or if they have become inaccessible from Android device due to any reason, then using Android Recovery Pro you can recover them back easily. Supported video file format includes 3GP, AVI, MP4, MPEG, MTS, VOB, MKV etc. Document and Email Recovery - Using this tool you can easily recover your lost or deleted documents and emails. Supported formats include DOC, DOCX, XLS, XLSX, PDF, PPT, HTML, PST, DBX, EMLX, EPS etc. 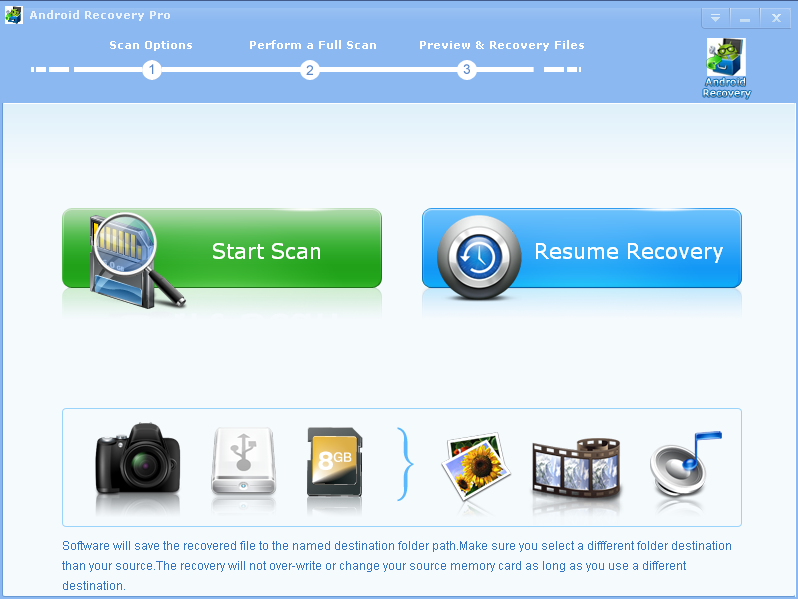 * Android Recovery Pro will undelete all type of photos from your SD card or disk.